Amid the Horrors of the World. 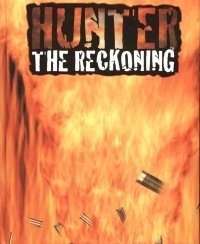 . .
Hunter Book: Judge is part of a Hunter: The Reckoning series dedicated to the creeds, the character types of the imbued. Learn Judges' philosophies, motives and ultimate goals in weighing the crimes of the supernatural. All these new Traits, edges and rules help ensure the punishment fits the crime. Court is always in session. Monsters might win battles, but we are going to win the war.Visionaries: The thinkers, prophets and leaders of the imbued. Hunters struggle against the supernatural night after night, but to what end? Visionaries live in the now and look to the future, hoping to guide the imbued to a better world maybe one that only they can see. What makes these hunters so certain of their calling? Does it matter if their vision becomes reality? Monsters are everywhere, lurking in the shadows, masqueradingas upstanding citizens or hiding in plain sight. They murder,abuse and oppress humanity. They have to be stopped, at anyprice. A new force emerges among hunters, a new creed neverseen before. These chosen are bent on obliterating the supernatural and anyone who gets in their way. Are these wanton killersthe worlds messiahs or destroyers? Your neighborhood isn't the only place crawling with zombies, bloodsuckers and ghosts. They're all over the world! Fortunately, so are hunters. We fight monster everywhere. But unless hunters can unite, our weapons, knowledge and tools will be lost with each of us. Together we stand, divided we fall. The Hunters Hunted As far as the chosen know, they're the first to see the truth, to know that monsters exist and prey upon humanity. But the imbued aren't the only ones to oppose the creatures of the night. Government agents, crusaders and mystics wage their own wars. How do these people perceive the chosen? Can alliances be forged? Or is war inevitable between all these hunters? And can monsters reap the rewards? The Crusade Begins Hunter: First Contact introduces the imbued to the World of Darkness' existing hunter groups such as the Inquisition, the Arcanum, and to secret government agencies. Finally, humanity's oldest and newest champions meet, but can they see eye to eye, let alone fight side by side? Now that your hunter knows the truth about the World of Darkness - that monsters lurk in the shadows, prey upon helpless victims and oppress humanity - he goes well armed into the night. Finally, the predator will know what it means to be prey. Now, you as a player can go well armed into your Hunter games. The Hunter Players Guide is an essential resource that offers all kinds of new rules, options, advice and tricks to bring to bear in the struggle against the supernatural. whether your character intends to bring monsters back into the human fold or destroy them with extreme prejudice. It's time to take back the night. We know you're out there, lurking in the shadows, manipulating people like puppets. You monsters have controlled mankind for centuries, but you have weaknesses. You can be killed. Just remember, we're cattle like all the rest. That is, till we learn your secrets. Then we'll see who's in control. Behold a Pale Horse. . . Graves yawn wide. Spirits haunt the living. Corpses pursue perverse agendas from beyond the grave. The gates to the next world swing wide. Is it the end of the world? Not if hunters can help it. Theirs is the power to put the dead to rest - once and for all. . . . and His Name That Sat on Him was Death Hunter: The Walking Dead explores and explains the proliferation of ghosts and zombies in the lands of the living. These monsters are hunters' greatest enemies, for they're everywhere and are clearly abominations to everything right and good. And yet, why does hunters' emergence and the rise of spirits seem to coincide? What is the hidden connection between the imbued and restless dead?